(Natural News) With the sudden growth of the so-called #MeToo movement, which is prompting scores of women to level sometimes decades-old charges of sexual assault against a variety of male public figures, entertainers, and corporate executives, one has to stop and ask this question: Has this all gone too far, too fast? Some people are beginning to think so, especially since just an accusation nowadays is all it takes for someone to lose their livelihood — and that is significant (and scary) in a country whose justice system was built upon the premise of innocence until proven guilty. 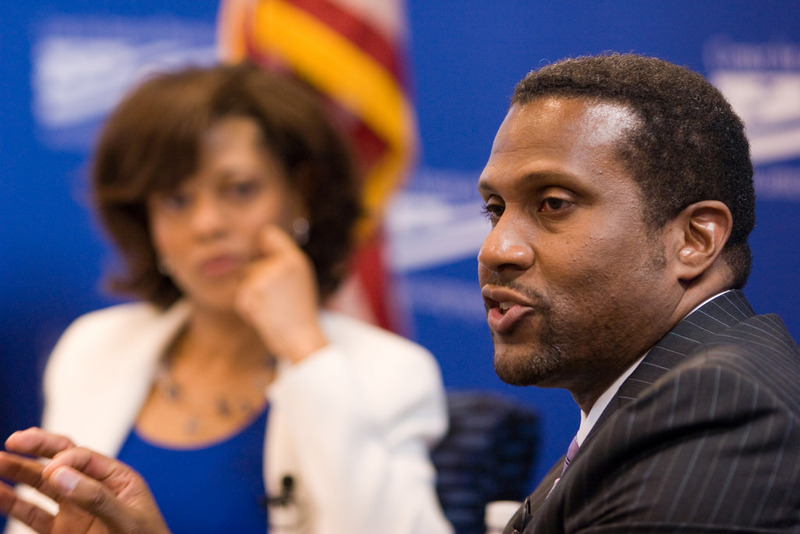 One of those people is Tavis Smiley, who is heavily criticizing PBS following its decision to “indefinitely” suspend him from the public broadcaster after becoming one of the latest targets of an allegation of sexual misconduct, which he strongly denies. “I have the utmost respect for women and celebrate the courage of those who have come forth to tell their truth,” he said in a statement this week, as reported by The Wrap. He added that he was “shocked” to discover that he had been suspended. He was also upset that Variety, which reported the suspension, knew about it before he did. Smiley said his network began its investigation without first informing him about it. He said he finally realized what was going on after “former staffers started contacting me to share the uncomfortable experience of receiving a phone call from a stranger asking whether I had ever done anything to make them uncomfortable, and if they could provide other names of persons to call,” he noted. As you may recall, under the American constitutional justice system, the accused have a right to face their accusers. Don’t get me wrong. Sexual abuse, assault, and misconduct happen. And probably a lot more than most of us would admit. But allegations of abuse, regardless of who makes them against whom, have to be made with some evidence to back up the claim, especially if there is a punishment involved for the accused. Otherwise, we open ourselves up for a host of unsubstantiated claims of abuse when, say, a woman is scorned, or as some other form of revenge (or in President Trump’s case, as a means of political attack). Plus, as was reported on Friday, allegations of sexual misconduct are not limited to men only. A female Democratic candidate for a U.S. House seat in Kansas dropped out of the race after allegations surfaced that she sexually harassed a male subordinate and then retaliated against him when he rejected her overtures. The man filed a lawsuit but reached a settlement with the woman’s company, where she was executive vice president, but again, that alone doesn’t prove anything. Like just about every social trend in the United States, the #MeToo movement is being overplayed, and trust me when I say this overplaying will have direct negative consequences, and mostly for women. For one, too many claims make people jaded and they wind up not believing any of them, including genuine claims of abuse. For another, female job applicants who are attractive now stand a worse chance of being hired (by male and female bosses) over fears of sexual harassment down the road. Smiley may well be guilty as charged, as may the president and a host of other men who have been punished recently over mere allegations of sexual misconduct. But punishing people for anything sans proof is not only unAmerican, it will lead our society to places we shouldn’t want to go.